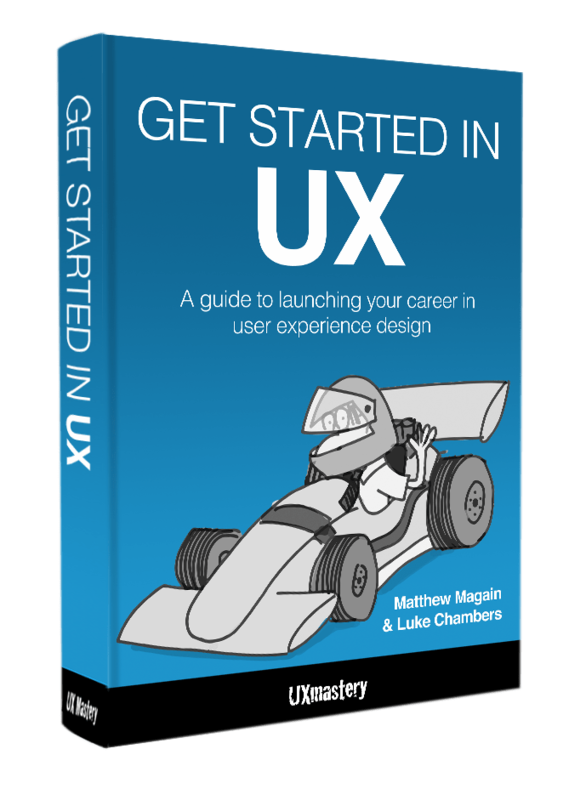 So you’ve followed our advice on how to get into UX, and your actions have landed a coveted interview for a UX job. Hooray for you! Your hard work is starting to pay off. Now, how do you take that next step and knock the socks off your interviewer, when you’re not even sure who they are or what they might be looking for? You bring to the table the best of your UX soft skills—empathy. A UX Designer is in a unique position when it comes to interviewing for a job. UX Designers use empathy in their everyday jobs to design products that satisfy a user’s needs. So, be the best UX Designer you can be and design the employer’s experience of you. When preparing for an interview, use your empathy skills to identify what the problems are that the employer is trying to solve, and troubleshoot ways you can solve them. It is not an exact science, of course—humans are a mysterious bunch—but this exercise can give you unique insights, and provide you with a better chance of succeeding. In a classic interview scenario, you might have two basic personas: the employer (perhaps more than one in the interview) and the candidate (you). Having empathy for yourself is the easy part—what is not so easy is putting yourself in your interviewer’s shoes. Problem that the Interview needs to solve: hiring a suitable employee who can do the job, support their organization’s goals and who will be a cultural fit. What problem(s) am I trying to solve in my organization? How can this UX designer help me solve this problem? What is my organization’s strategy and what are its key strengths? What am I looking for in a designer who can support these organizational goals? Who are my organization’s clients (both internal and external) and what are their expectations of this designer? Will this candidate be a cultural fit for our organization? How does the candidate’s portfolio and communication style tell the story(ies) of his or her past projects? What is this candidate’s interview style telling me about him or her as a UX designer? You need to design the interview experience prior to the interview taking place. Remember that the people who will be interviewing you are your users and are therefore your audience. Design the interview with them in mind. It is their experience that you are designing. If you are having difficulty putting yourself into the employer’s shoes, you may want to consider a career other than UX! UX design is both an art and a science—and you often need to do what you can with the information you have. Having empathy to design an experience that will satisfy your users will be critical if (when!) you actually get the job. Do your research. If you’ve put yourself into the employer’s shoes, you will already have some questions to ask yourself about what their needs may be and how you can satisfy their needs. Brainstorm questions the employer may ask in an interview by analyzing what their needs may be. You can do this by yourself or with a mentor or colleague. Prepare answers to questions you think you may be asked. Role-play the interview with a friend or colleague. This is a great technique to put yourself into both the employer and the candidate’s shoes. Design your experience—make the interview process a joy. Change it up. Have parts where you talk, parts where you listen, and make sure you have an opportunity to draw on a whiteboard to explain something. Don’t forget to empathise with yourself! Be brutal and ask yourself questions like, “will this role challenge me?”, “is this the right organisation for me?”, “what is the management style like?” The answers to these questions will tease out some of the questions you can ask of the employer to decide whether this is the right job for you. Sure, the employer will decide whether you are suitable for the role, but you also need to decide whether the employer is suitable for you. In summary, to ace your interview, you should troubleshoot it beforehand by putting yourself into both the employer and your own shoes. Design an experience for those people who will sit across the table from you. Make it an experience you would want to have if you were the one interviewing for a candidate. But stay on your toes—no interview ever goes exactly the way we plan (or design) it. We can give ourselves the best chance of success if we prepare beforehand, but if there’s one thing our empathy skills have shown us, is that users (and employers) can throw us curveballs. And like any good UX professional, don’t forget to ask for feedback from your “user” after the interview. If you don’t land this job, it will help you go back to the drawing (white?) board and ace the next interview! I’ve read many articles about UX interview tips and I like the unique approach adopted here. A great way to demonstrate your empathy skills! The role of your portfolio in creating the interview experience is another important thing to consider.